Oakland officials are acknowledging that Mayor Jean Quan’s "one-hundred block" crime-fighting plan miscalculated where most violent crime in the city takes place. Quan has been saying that 90 percent of the crime in Oakland takes place in 100 blocks, and that the city is focusing police and other city services on those blocks. On Wednesday her chief of staff disavowed those numbers. 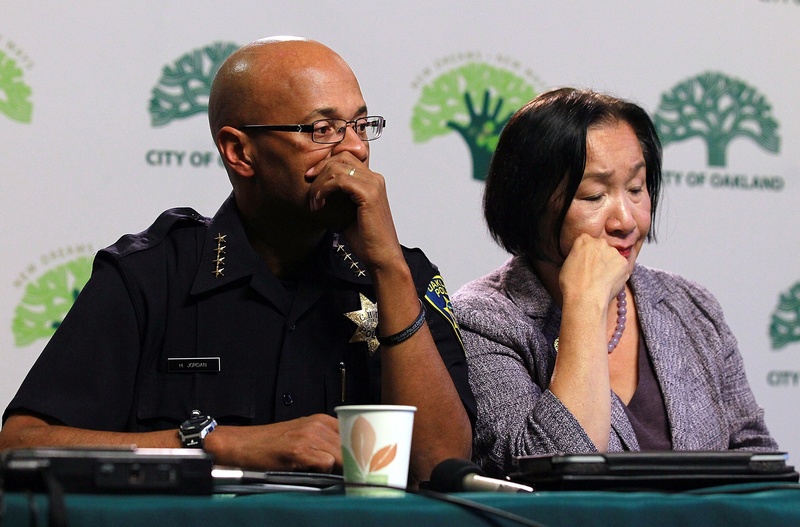 "I don't know where the 90 percent number came from," said Campbell Washington, who joined Quan's staff after the release of the 100 Blocks plan, according to the Oakland Tribune. Earlier this month, the Urban Strategies Council analyzed crime data, and reported that violence was much more spread out geographically. In an interview with KQED’s Andrew Stelzer Thursday, Junious William, the group’s CEO, said Quan’s crime-fighting strategy includes many praise-worthy aspects which should now be adjusted. But he said the larger lesson is that data about the Mayor’s plan and its effectiveness should have been made public. Quan's office says the mayor didn’t know her data was incorrect until last week.